Visit the official website of NEST and click on the results link. Enter your application form number and click on submit. Download and print your NEST results. Date: According to the official notification, the NEST 2019 result will be out on 17th June 2019. 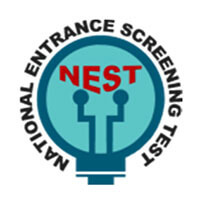 Availability: Candidates can access the NEST 2019 results on the website at nestexam.in, by providing their login credentials like registration number and password/Date of Birth. Merit lists for two participating institutes NISER and CEBS will be prepared separately. On the basis of marks obtained in the exam, SMAS (‘Section–wise’ Minimum Admissible Score) and MAS (Minimum Admissible Percentile) will be calculated and based on them, the merit list will be prepared. NEST 2019 will be conducted in two shifts and different sets of question papers will be used for each session. So, the percentile score will be calculated on the basis of the relative performance of all the candidates in the respective session. The highest score in each session will be 100th percentile. During the preparation of merit list, score for the general section would be considered along with three best scores from the remaining subject sections. In other words, the worst score among sections 2 through 5 would be omitted while preparing the merit list calculation. Thus, the ‘total’ marks for NEST 2019 becomes 180 (30 + 50 x 3= 180). Total score of each candidate will be the sum of his/her score in the general section and his/her best of three scores among the subject sections. For NISER: SMAS in all four subject sections is mandatory, in addition to the general section. For CEBS: SMAS in any three subject sections is mandatory, in addition to the general section. Relaxation of SMAS for OBC: SMAS for OBC students would be 90% of respective SMAS for general category students. Relaxation of SMAS for SC/ST/PWD: SMAS for SC/ST/PWD students would be 50% of respective SMAS for general category students. In addition to SMAS, a candidate is required to score more than or equal to a total Overall cut-off or Minimum Admissible Percentile (MAP) to get into merit list. Candidates scoring less than the above MAP in total (general section + his/her three best-scored subjects) would not be allotted any merit rank and would not be deemed eligible for admission at either NISER or CEBS, even if they secure SMAS in all sections. The NEST committee reserves the right to relax any of the defined cut-offs in extenuating circumstances. Based on the attendance of the students present both at NISER and CEBS, the modified merit list will be prepared. This modified merit list and not the original merit list is the basis for the admission to NISER and UM-DAE CEBS. Official Website: First of all, the candidates should visit the official website of the NEST 2019 at nestexam.in where they will find the result link. Pop-Up: On accessing the link, the window below will pop-up. (In 2017, result window looked like the image shown below). Credentials: Candidates will have to enter their Roll Number (written in the NEST 2019 Application Form) and Date of Birth OR Application Number and Date of Birth as shown in the above image. Consequent to the steps above, the result of the candidates will be displayed. Candidates have to download result to produce it at the time of counselling and admission. In case candidates are unable to check their NEST 2019 Result then they should immediately seek help at nest2019helpdesk@gmail.com or nest-exam@niser.ac.in. They can also call (022) 61728210 from 10 AM to 5 PM on working days for quicker reply.